A year after the devasting data breach at Equifax – one that left the sensitive personal information of over 143 million Americans exposed – consumers can now better protect themselves against identity theft. Replacing a patchwork of state credit freeze laws, new legislation now requires the credit reporting agencies of Equifax, Experian and TransUnion to allow consumers an opportunity to “freeze” or otherwise “lock” their credit report from public disclosure without fee. Temporary “fraud alerts” can also be extended to one-year from the previous 90 days. Place an Equifax credit freeze – Experian credit freeze – TransUnion credit freeze. With the passage of the Economic Growth, Regulatory Relief, and Consumer Protection Act – or EGRRCPA – in May, Congress amended the Fair Credit Reporting Act instituting several important changes. Effective Sept. 21, nationwide credit reporting agencies are statutorily mandated to provide a global credit freeze to consumers free of charge. Previously, 42 states – including Florida – allowed Equifax, Experian and TransUnion to charge consumers for locking their credit report. Unless a consumer was a verified identity theft victim, they were charged anywhere from $2-$10 – per credit bureau – each time they locked or unlocked their credit report. A credit freeze – also referred by some as a security freeze or lock – was designed to make it more difficult for criminals to use stolen personal information to open new accounts fraudulently as credit reporting agencies were prohibited from providing credit information to potential lenders. Under the new legislation, initial fraud alerts are extended from 90 days to one year. No change has been implemented on the seven-year extended fraud alert. Under the EGRRCPA, nationwide credit reporting agencies are now required to remove the fee for maintaining a credit freeze and must provide consumers a webpage for credit freeze and fraud alert requests. Place an initial Equifax fraud alert – initial Experian fraud alert – initial TransUnion fraud alert. Previously, freezing your credit report at the Equifax, Experian and TransUnion consumer reporting agencies was governed by state law. And with dozens of states allowing credit bureaus to charge a fee each time a report was locked or unlocked, consumers rarely took advantage of the opportunity unless they were specifically at risk for identity theft. The number of situations requiring a credit report were abundant. Whether applying for employment or insurance, a new cell phone or home utilities, a new credit card, vehicle or home mortgage loan, the cost could really become excessive. With the new law now in effect, freezing and unfreezing a credit report has been made simple as each of the credit reporting agencies – Equifax, Experian, TransUnion – has an online portal dedicated to processing consumer requests. Now when a request to freeze a report has been received online or by telephone, it must be processed with one day. Likewise, a request to unfreeze a credit report must be completed with one hour. Consumers are also protected under the provisions of the new Economic Growth, Regulatory Relief, and Consumer Protection Act with the ability to establish a credit freeze for their minor children. Place an Equifax child freeze – Experian child freeze – TransUnion child freeze. According to a recent Javelin Research survey, more than one million children – or 1.48 percent of minors in the United States – were victims of identity theft in 2017, resulting in total losses of $2.6 billion and $540 million in out-of-pocket costs to families. Parents can now freeze their child’s social security number for credit purposes – a number typically issued shortly after birth – and reduce the potential for life altering identity theft issues. To learn more about credit freezes and fraud alerts, the Federal Trade Commission provides a wealth of resources at www.identitytheft.gov. Expect more, pay less has brought new meaning to the Christmas shopping rush as Target confirmed early Thursday that information from nearly 40 million of its customer credit and debit cards may have been compromised by a data breach during the height of the holiday shopping season. Occurring at nearly all of their stores nationwide, the data breach occurred between November 27 and December 15, 2013. Target said it immediately contacted authorities and financial institutions once it became aware of the security breach. Target is working closely with law enforcement and financial institutions, and has identified and resolved the issue. The Minneapolis based-company also reported that they were teaming with a third-party forensics firm to investigate the breach. 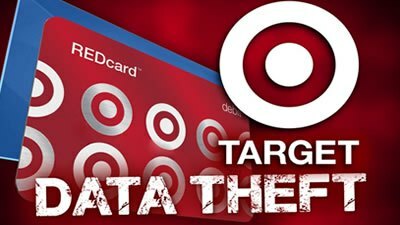 Security news writer Brian Krebs – who broke the story for KrebsOnSecurity.com on Wednesday – said the data breach could not have come at a worse time for shoppers and Target. “I can’t think of another day in the calendar when target or anyone else could expect to have more people in stores. More deals, traffic, more swipes — perfect day to launch an attack,” Krebs told ABC News. The breach is believed to have affected nearly 40,000 card machines at nearly 1,797 Target stores nationwide. While millions of cardholder accounts are potentially vulnerable, online purchases have not been affected. Customers who may have been affected should pay close attention to their credit card and debit statements, said Krebs. While consumers will be reimbursed for any fraudulent charges, the refund might not come until after Christmas, creating another headache for shoppers who are operating on limited funds. For more information, please visit Target’s corporate website. Consumers who suspect unauthorized or fraudulent activity may contact Target at 866-852-8680. Bill Lewis is principal of William E. Lewis Jr. & Associates, a solutions based professional consulting specializing in the discriminating individual, business or governmental entity. For daily updates on The Credit Report with Bill Lewis, you can join Bill’s 15,500 plus fans on Facebook at: http://www.facebook.com/thecreditreportwithbilllewis. If you are one of the 48 million Americans who purchased some sort of “identity theft protection” service in 2011, you wasted your money. While true, these statements are nothing but scare tactics so you will purchase a service to protect your good name and reputation within the community. Some of these “identity theft protection services” cost up to $189 annually. 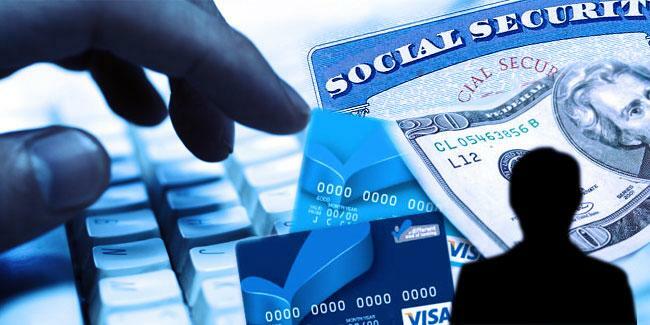 What the credit reporting agencies fail to tell you is that identity theft protection does not cover prior instances of identity theft, IRS tax return filings, account takeovers, the misuse of credit or debit cards, or the establishment of personal identification (such as a driver’s license or Social Security card) in your name. Americans are spending an estimated $3.5 billion a year on identity theft protection. Recent reports indicate that by 2015, Americans will be spending in excess of $6 billion to protect their identity from theft. Most of these services are a waste of money as almost all of the services provided are available at little or no cost to the consumer. There is no reason to pay a monthly or yearly fee for something you can do yourself for free. By keeping close tabs on your consumer credit profile, you can detect signs of identity theft early. If you find an account not opened by you and have positively identified it as fraudulent, enter a dispute directly with the creditor as well as with the credit reporting agencies of Equifax, Experian and TransUnion. You can obtain a free credit report at www.annualcreditreport.com or 877-322-8228. When you pay for identity theft protection, this free credit report is one of the “benefits” they tout. Contact the credit reporting agencies and request a 90-day initial fraud alert on your credit report. Not only will this trigger a free credit report but will advise potential creditors to investigate any application prior to issuing credit, goods, benefits, services and/or employment. Contact Equifax at 800-525-6285, Experian at 888-397-3742 and Trans Union at 800-916-8800. When you pay for identity theft protection, this fraud alert is one of the “benefits” they tout. Just be sure to renew the alert every three months. Identity thieves are frozen in their tracks without access to your credit report as potential creditors will not have access to your credit history. In most states, you are entitled to temporarily “freeze” access to your credit profile without cost if you are over 65 years of age or are a verified victim of identity theft. All others may be required to pay a small fee. Without access to your credit report, a responsible lender will not issue credit. When you pay for identity theft protection, a credit report freeze is one of the “benefits” they tout. Are you tired of junk mail filling your mail box? Opting out at www.optoutprescreen.com or 888-5OPT-OUT will stop most unsolicited pre-approved applications and reduce the incidence of identity theft. Opting out refers to the process of removing your name and address from lists supplied by the Equifax, Experian, Trans Union and Innovis credit reporting agencies to be used for firm (preapproved/ prescreened) offers of credit or insurance. When paying for identity theft protection, opting out is one of the “benefits” they tout. “Dumpster diving” is still a very popular method of obtaining credit card applications and supporting documentation. Purchase a cross-cut shredder that cuts vertically and horizontally, turning sensitive mail into confetti. If you think a torn up credit card application will be rejected by a credit card company, you have not heard the story of how Chase Bank approved a ripped up application. What the credit reporting agencies fail to tell you is that identity theft protection does not cover prior instances of identity theft. As such, you are not protected and are wasting your money. The FTC report also found that the vast majority of Americans dealing with identity theft issues were unaware of their rights under the Fair Credit Reporting Act. These rights included the ability to request free credit reports when placing a fraud alert, the ability to block fraudulent information from appearing on their credit reports and to receive a notice of these and other important rights directly from creditors and consumer reporting agencies. While the Credit Card Act of 2009 mandated a number of changes in relation to “free credit reports,” the area of identity theft protection is an area to watch. Reduced fees in one area will only mean enhanced fees in another. There is no reason to pay a monthly or yearly fee for something you can do yourself for free. Bill Lewis is the principal of William E. Lewis Jr. & Associates and host of “The Credit Report with Bill Lewis” — a daily forum for business and financial news, politics, economic trends and issues on AM 740 WSBR in south Florida. Are you receiving annoying or harassing phone calls from telemarketers or debt collectors? In these tough economic times, your telephone seems to ring more often. There are actions you can take to reduce the number of calls you receive. First, you must determine whether the caller is a telemarketer attempting to solicit a product or charity, or a debt collector attempting to collect a past due bill. To stop most telemarketers from calling your home or cell phone, you must sign up through the Do Not Call Registry offered by the Federal Trade Commission. Registration can be made online at www.donotcall.gov or by calling 888-382-1222 from the number in which you seek to block. The national Do Not Call Registry gives you an opportunity to restrict most telemarketing calls received on your home or cell number. Once you register, telemarketers covered by registry rules have up to 31 days to remove your phone number from their calling lists. Should the telemarketing calls continue, you have a right to file a complaint with the FTC. Distinguished from the telemarketer, is the debt collector. If you owe a past-due bill, debt collectors have the right to call you – but not harass you. The Federal Trade Commission enforces the Fair Debt Collection Practices Act (FDCPA), a federal law that prohibits debt collectors from using abusive, unfair, or deceptive practices to collect from you. There are many types of debts covered by the FDCPA. Personal, family, household debts, auto loans, medical bills, and even your mortgage are all protected under the law. The FDCPA, however, does not cover debts incurred to run or operate a business. Some of the most common questions about debt collectors and consumer rights can be answered by visiting the Federal Trade Commission’s Web site at www.ftc.gov. Although the FTC will not normally intercede on behalf of an individual consumer, they act as a clearing house for complaints and have been known to initiate legal action against the most abusive collectors in the industry. Should a Florida resident have a complaint about abusive debt collection tactics, they can file a complaint through the Florida Office of Financial Regulation (OFR), the state agency in charge of debt collectors, at www.flofr.com. In this instance, the OFR will open a file and forward the complaint to the offending agency. If a debt collector violates the FDCPA, you can take legal action. Whether you receive an annoying or harassing call from a telemarketer soliciting a product or charity, or a debt collector attempting to collect a debt, you can stop your phone from ringing by simply learning your rights. William E. Lewis Jr., is a credit repair expert with Credit Restoration Consultants and host of “The Credit Report with Bill Lewis” on AM 1470 WWNN, a daily forum for business and financial news, politics, economic trends, and cutting edge issues. Are you one of the 13 million people who purchased “identity theft protection” in 2009? If so, you wasted your money. Identity theft protection companies push statistics like “almost 11 million adults were victims of identity theft in 2009” while prodding you to purchase a service that could cost up to $179.00 per year. What they fail to advise is that identity theft protection does not cover account take-overs, the misuse of debits cards, or the establishment of personal identification (such as a driver license) in your name. I am happy to report that almost all of the services provided by identity theft protection companies are available at little or no cost. There is no reason to pay a monthly or yearly fee for something you can do yourself. By keeping close tabs on your credit report, you can identify signs of fraud early. If you find an account not opened by you and have positively identified it as fraudulent, enter a dispute with the credit reporting agencies of Equifax, Experian and Trans Union. You can obtain a free credit report at www.annualcreditreport.com or (877) 322-8228. When you pay for identity theft protection, this free credit report is one of the “benefits” they tout. Call the credit reporting agencies and request a 90-day initial fraud alert on your credit report. Not only will this trigger a free credit report but will advise potential creditors to investigate any application prior to issuing credit, goods, benefits, services, and/or employment. 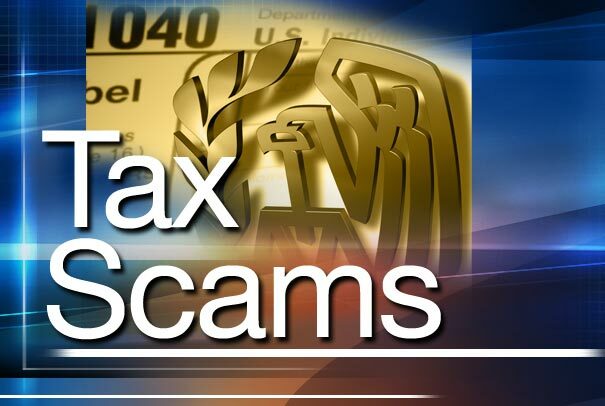 Contact Equifax at (800) 525-6285, Experian at (888) 397-3742 and Trans Union at (800) 916-8800. When you pay for identity theft protection, this fraud alert is one of the “benefits” they tout. Identity thieves and creditors are frozen in their tracks without access to your credit report as they will not have access to your credit history. In Florida, you are entitled to temporarily “freeze” access to your credit profile without cost if you are over 65 years of age or are a verified victim of identity theft. All others must pay $10.00. Without access to your credit report, a responsible lender will not issue credit. When you pay for identity theft protection, a credit report freeze is one of the “benefits” they tout. Are you tired of junk mail filling your mail box? Opting out at www.optoutprescreen.com or (888) 5OPT-OUT will stop most unsolicited pre-approved applications and reduce the incidence of identity theft. Opting-Out refers to the process of removing your name from lists supplied by Equifax, Experian, TransUnion, and Innovis to be used for firm (preapproved / prescreened) offers of credit or insurance. When paying for identity theft protection, opting out is one of the “benefits” they tout. “Dumpster diving” is still a very popular method of obtaining credit card applications and supporting documentation. Purchase a cross-cut shredder that cuts vertically and horizontally, turning sensitive mail into confetti. If you think a torn up credit card application will be rejected by a credit card company, you have not heard the story of how Chase approved a ripped up application. While the Credit Card Act of 2009 has mandated a number of changes in relation to “free credit reports,” the area of identity theft protection is an area to watch. Reduced fees in one area will only mean enhanced fees in another. There is no reason to pay a monthly or yearly fee for something you can do yourself.